Remember our friend Gladys? We are thrilled to announce that she was able to successfully renew her green card! The BBS worked with Gladys to submit a renewal application and after (just) 4 months, she received a notice to appear for her biometrics appointment. Gladys received a new sticker on her expired card, making her status in the US legal once again. It was a tremendous relief for her and she expressed her gratitude to the BBS for all of our help in this process. We recently received a call from an elderly Brit, living on his own and residing in the back of a pet shop in the Avenues of San Francisco. His landlord had taken steps to illegally evict him from his apartment, likely to try to collect more rent from a different party. Michael was aware of his renters rights but since he had been out of work for sometime, he did fear eviction and had only $100 in his bank account. He asked the BBS for small financial assistance, just in case things didn’t go his way. The relief committee agreed to provide a small amount of money that would likely leave Michael with the sense of security he needed. On the day Michael received word that the BBS would help out, he let us know that he had secured a job as a part-time caregiver. He was so grateful for our help and also excited about the potential financial relief that would come from new employment. We are still working with our friend Sheila in Santa Rosa. After recovering from her fall and broken hip earlier this year, Sheila is now scheduled to undergo minor surgery in early June. A reminder that Sheila is on her own and lives on a fixed income, the BBS will help her with her recovery by covering the costs of a home health care worker. Sheila was incredibly resilient with her hip recovery and we wish her all the best with her next surgery. Along with a big welcome to our new board members, we are thrilled to welcome former President Kathleen Kimura back onto the Board of Directors! Kathleen has always offered support and guidance to the BBS as a volunteer and we are delighted that she has decided to re-join the organization by heading up our Relief Committee once again. 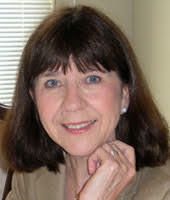 For many years, Kathleen has been instrumental in determining the type of assistance the BBS should offer. Welcome back Kathleen! The BBS Board of Directors and some special friends of the BBS were thrilled to celebrate the nuptials of the Duke and Duchess of Sussex! The Royal Wedding really was a magical fairytale. It was very special to watch the wedding with all those who gathered in Windsor and everyone else who watched the wedding on television around the world. 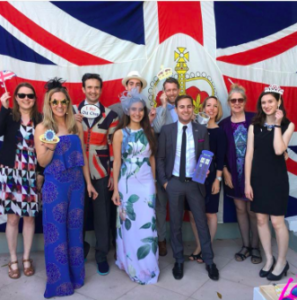 Cheers to the newlyweds and thank you to our friends at the British Consulate in San Francisco for including us in such special occasion! Thank you to all of our members who have been in touch to renew their memberships! Your ongoing support really does make a difference in our ability to provide relief to those most in need. If you are unsure of the status of your membership, please contact Jenn Baker. Alternatively, to renew or join, you can always visit our website for guidance. British Corner Shop are the leading ecommerce retailer helping people worldwide enjoy Britain’s favourite branded grocery products. They make it possible for anyone, anywhere with a taste for the Best of British groceries to satisfy their appetite by delivering over 10,000 products to customers doors in 196 countries. So, whether you miss tea and biscuits, or pies and pork scratchings British Corner Shop aim to deliver British Happiness to people’s doors around the world. As an exclusive introductory offer to members of the BBS, they are offering £15 off first orders over £75 if you shop before the 31st July 2018. Simply use code BBCA2018 at checkout. Rugby World Cup Sevens 2018 is in the USA for the first time ever from 20-22 July, 2018. The fastest, most fun team sport in the world will be at AT&T Park, home of the San Francisco Giants baseball team. Tickets for this action packed event are on sale now to the general public. Are you and other BBS friends interested in volunteering? If so, let Jenn Baker know! She can connect you with the folks at Rugby World Cup Sevens. For more information, visit their website.